this foundation – it’s light-to-medium in coverage and always gives me a luminous finish (much like its name). Sometimes my skin is extra-oily and on those days I use a finishing powder over it. this concealer – still a favorite because it lasts forever (therefore worth the investment – 2-3x over!). The new formulation also comes with SPF 25 which is very much appreciated in an area of skin that is thinner and more susceptible to damage. this blush in #11 – I attribute my “glow” to this blush and the blush below. Yep, I layer two. There’s also a glow set on sale here. this blush – I love this color. It’s cheerful, feminine and fresh. This is what I layer on top of the first blush. eyebrow sculptor in taupe- this now comes with a refill, so I am back on board with it. Previously I felt like I went through it way too quickly. I love that there is a sharpener built-in. eyeliner – I only use liquid liner and this has been a favorite lately. No shaking and it always comes through perfectly. mascara – I’ve been using this on and off for several years with no complaints. It keeps my curl (some mascaras make it stick straight out right away!). Really interested in trying this one and this one. lips in “Roseland” – I’ve never really liked lip colors that weren’t in stick form. this one has completely changed my mind. 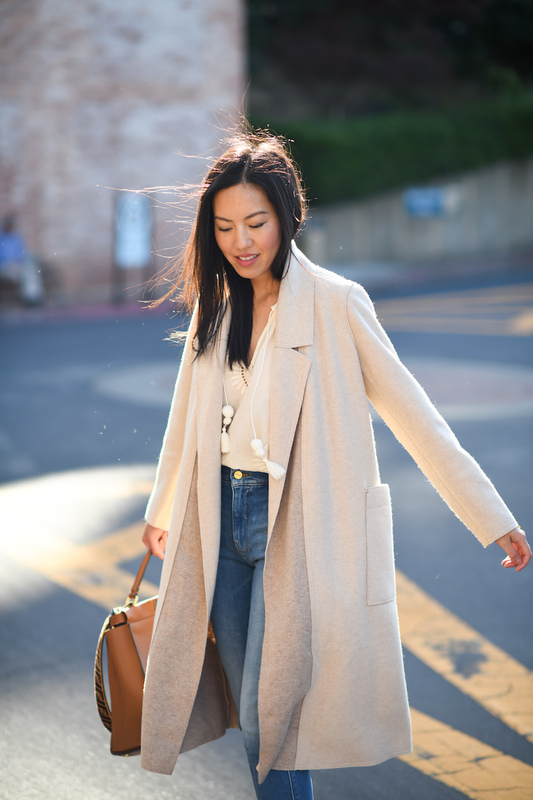 PS: This coat is one of my favorites from the Anniversary sale – definitely a keeper!! It will go with everything and is comfy enough to be relaxing and polished enough to be professional. I’m also in love with this jacket on sale. I may like it more than this oatmeal one but it isn’t nearly as versatile. There’s an under $200 version here and under $100 version here that also caught my eye. Sharing more favorites from the sale below! Looking gorgeous in that tan trench coat! ???? In love with the knit jacket! That coat is perfection! Love this look! Loving this coat so much! <3 🙂 Super chic! Can't wait to shop the Anniversary Sale! Okay i’m honestly obsessed with this outfit! I could do see myself wearing this! 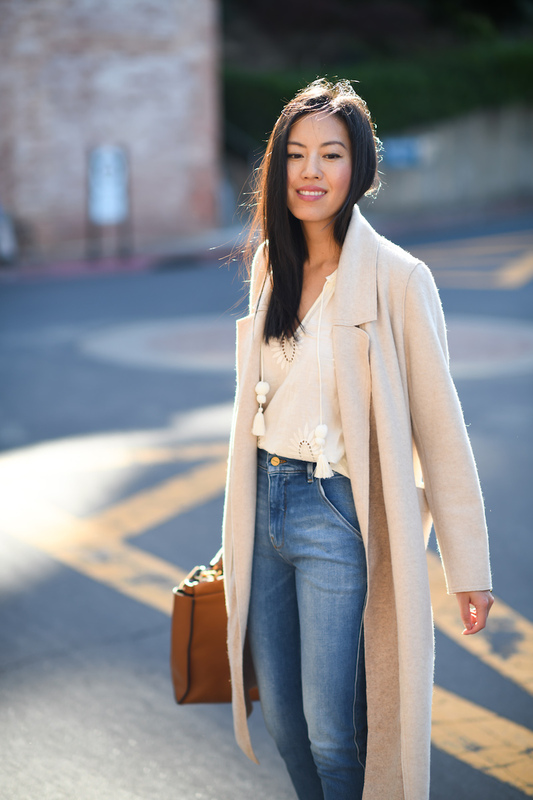 I love how effortless and chic this outfit is. You’re adorable!